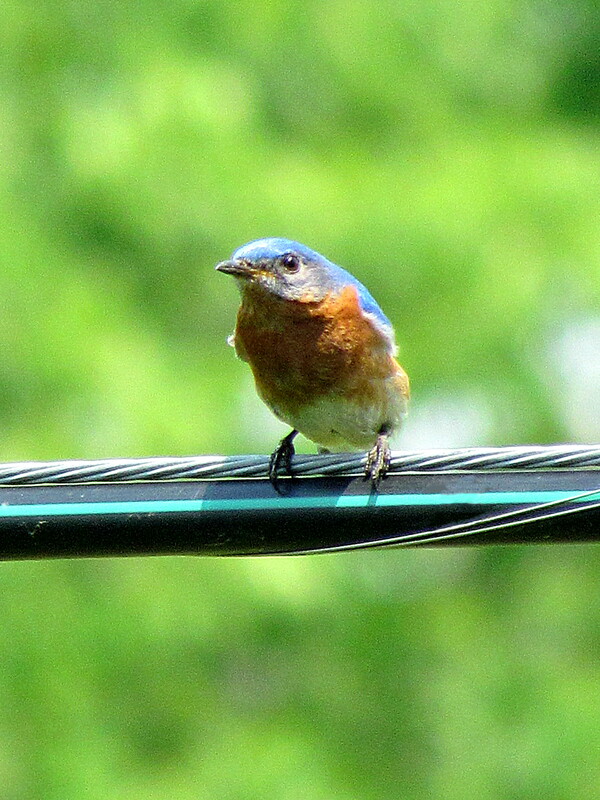 Bluebirds, indeed. 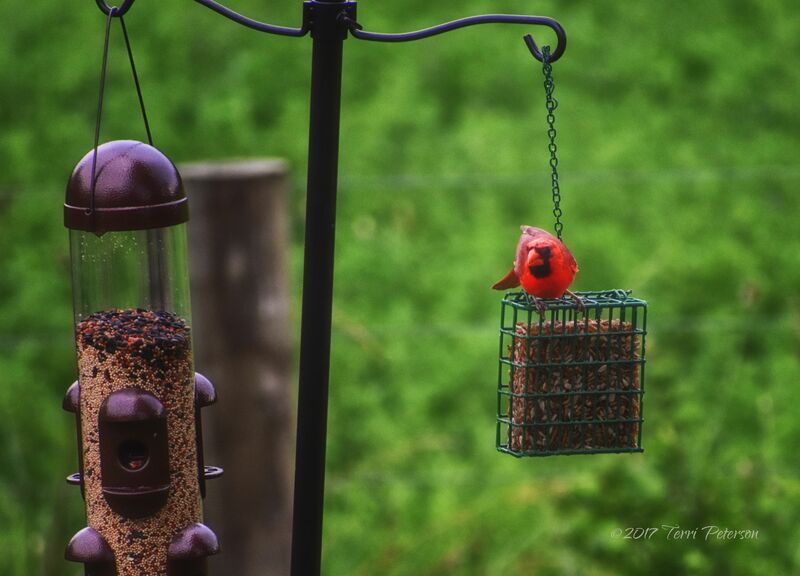 Plus maybe another guest birdie or two. Yesterday, I looked out my window into my back yard while I was on the phone with my mother, and I couldn’t believe what I was seeing. We usually have a lot of birds in the yard; cardinals seem to love it here, as do the usual assortment of blue jays and grackles and mourning doves. But yesterday…it was like someone was throwing a bird party and they all showed up. The red-tailed hawk that lives in our ‘hood was circling overhead. 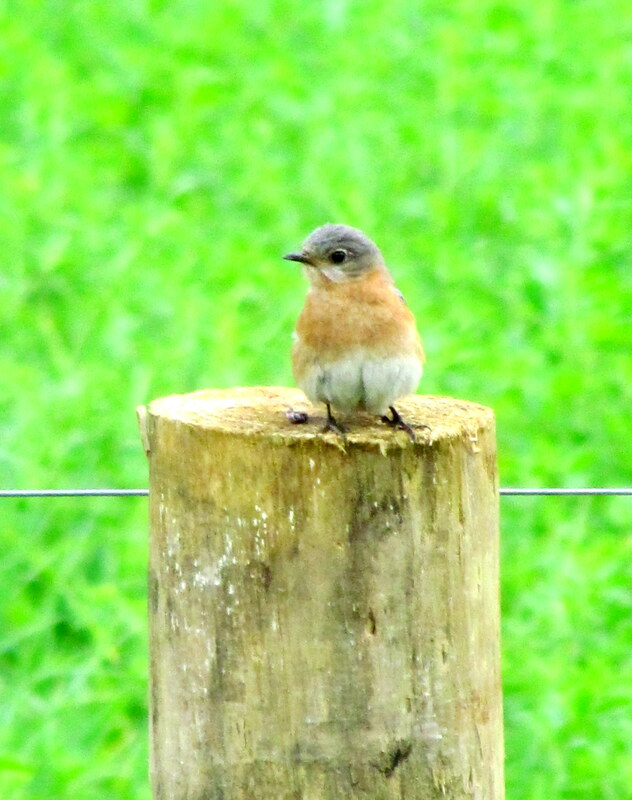 And my yard was filled with the chatter and flit of birds going about their very important bird business. A goldfinch or two joined the party, and I thought I saw the bright orange burst of an oriole fly by. It was like someone unleashed a box of flying crayons in my yard. 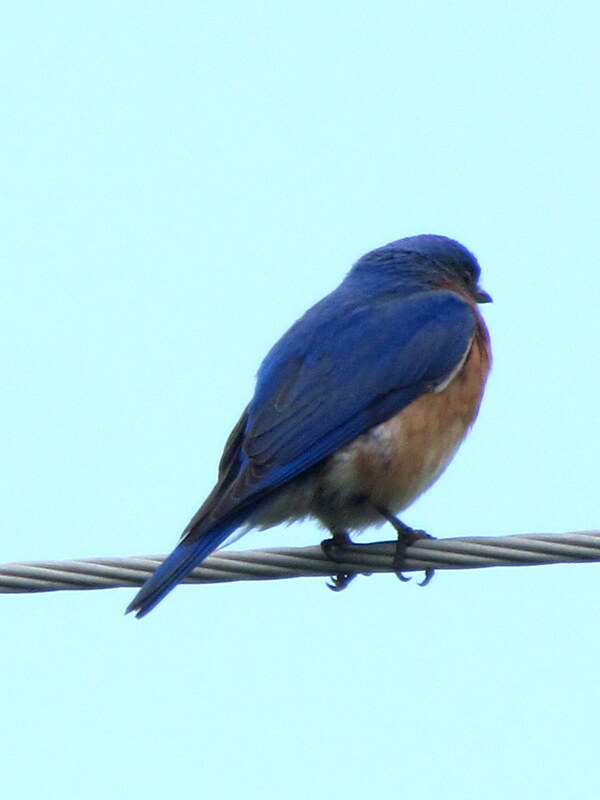 But the bluebirds. 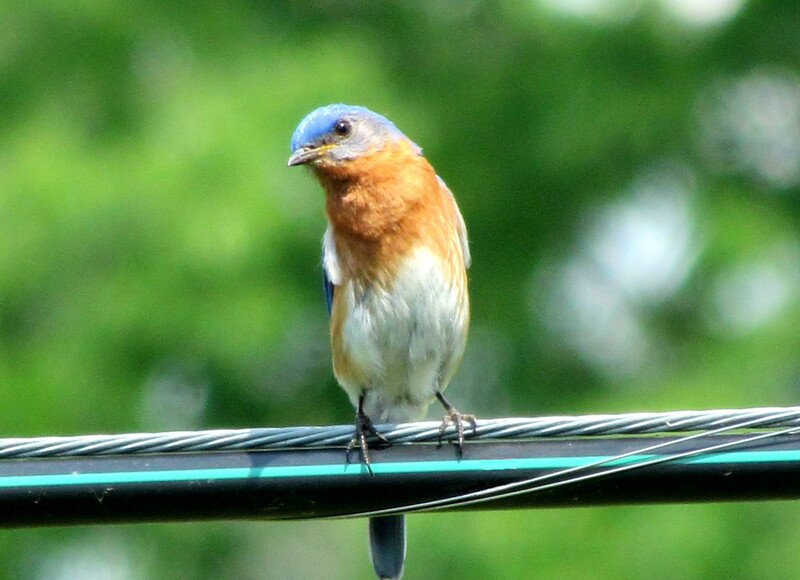 The Eastern bluebirds! Two mated pairs, in my yard. 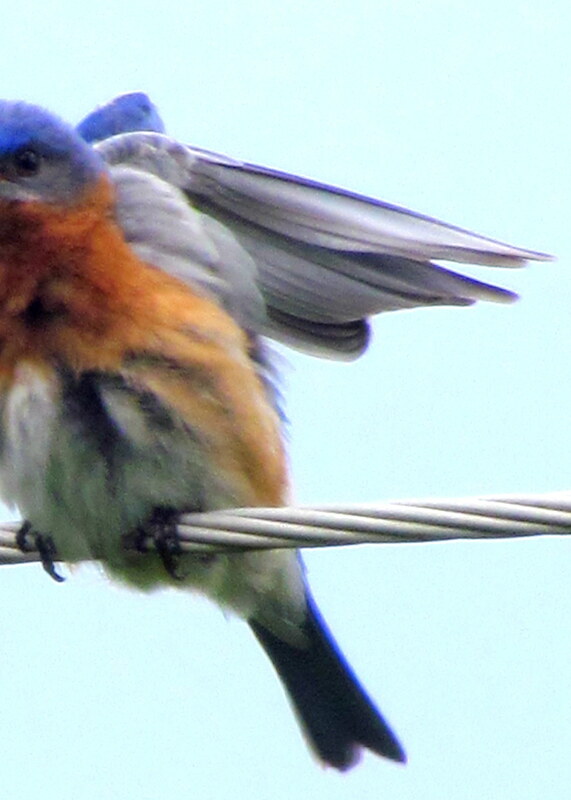 Hanging out on the telephone wires. Unfortunately, I didn’t catch a good photo of all four of them together, but you know…so what? You look great in blue. Did I ever tell you that? 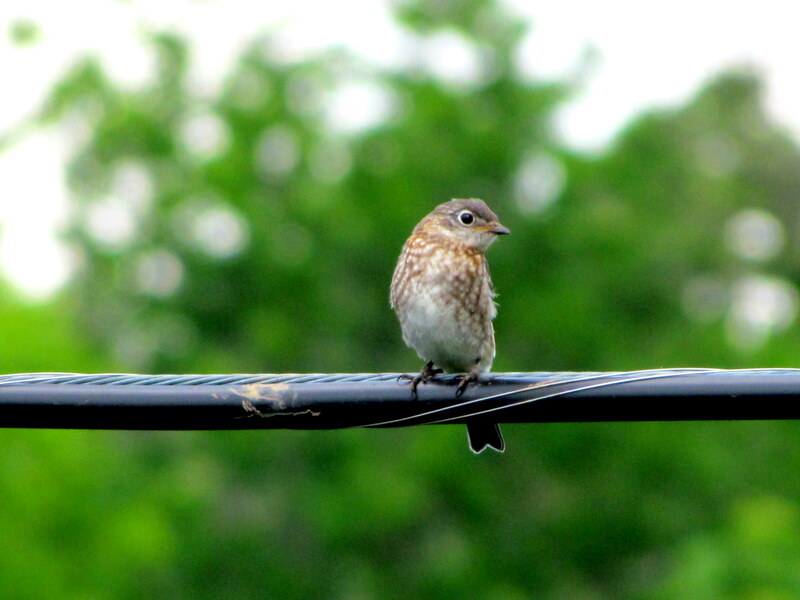 A juvenile song sparrow* stopped by to have a look around. Hey, I know I’m not blue or anything, but I still deserve love. And he kind of looks a little huffy. 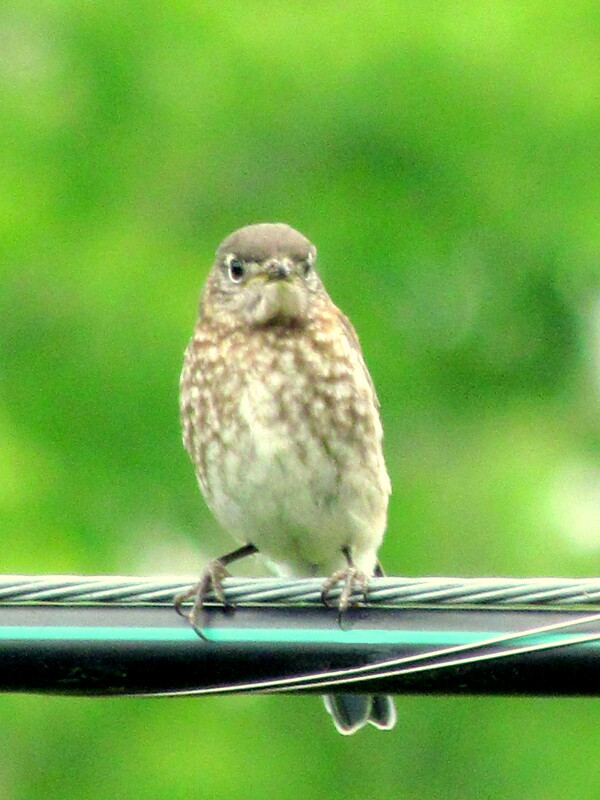 Well, hello, Mr. Crankypants. *At least, I’m pretty sure that’s what this li’l fella is. If anyone knows differently, please do, tell. 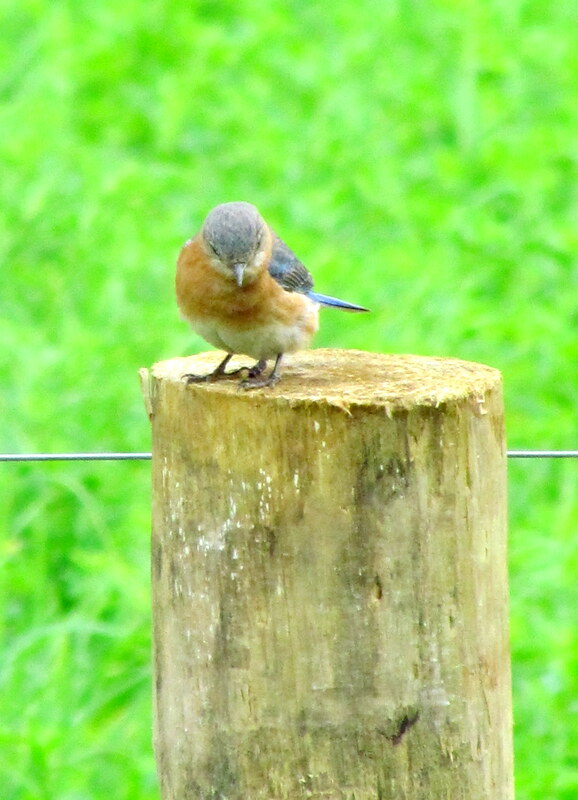 Meanwhile, the bluebirds were busy checking out the new fence posts, built to keep in the sheep (SHEEP? OH MY GODDDDDDD WHERE THE HELL DO I LIVE?) our neighbors are getting. Oh, yeah, it’s quite nice, innit? You’re getting sheep, you say? Right here? And now, for a moment of interpretive dance. I call this “The Stillness”. Thank you. 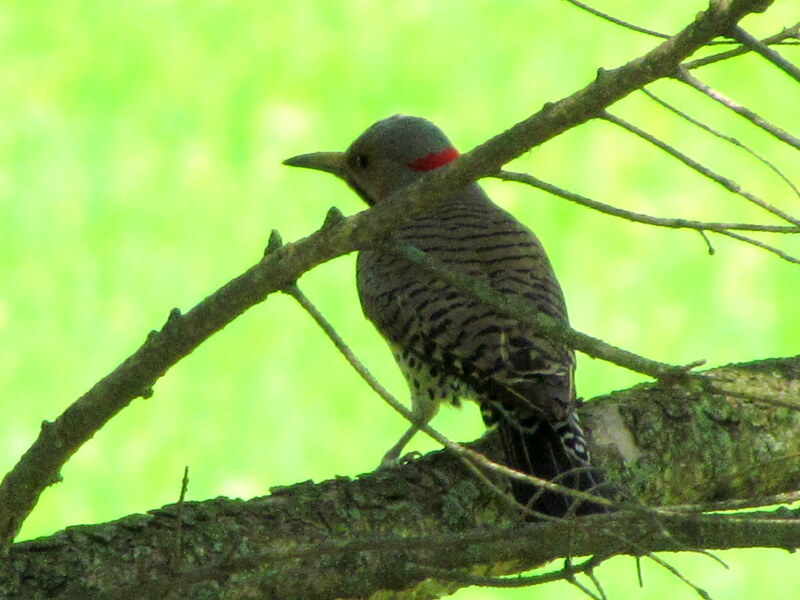 Meanwhile, a northern flicker attempted to be aloof and mysterious in the branches of the neighbor’s evergreen tree. I said no photos. Damn paparazzi. 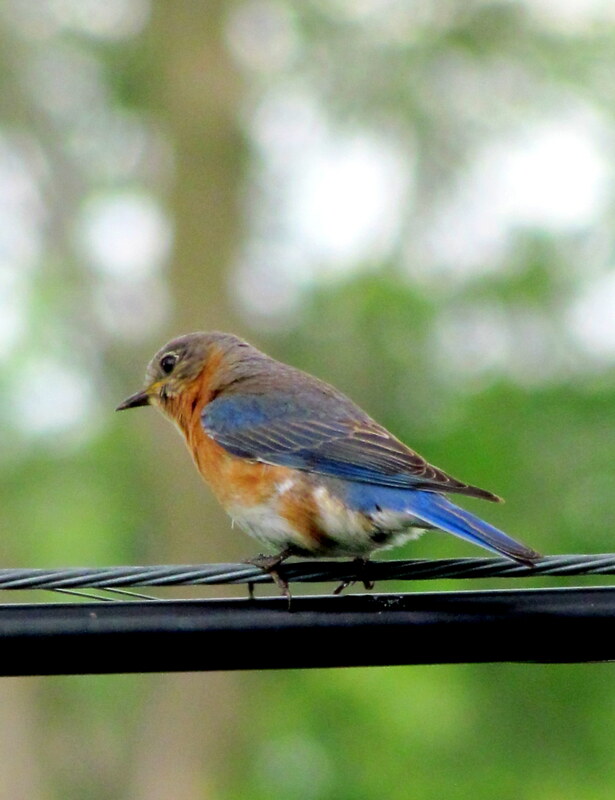 But at the end of the day, the bluebirds were the stars of the back yard show. Thanks for dropping by, birds! See you again soon!